Montalvo Arts Center | News | Join us for Wedding of the Century, Runaway Bunny, and more! Our Family Theatre Series continues on Saturday, April 14, at 11am, with a musical version of Margaret Wise Brown's beloved classic, The Runaway Bunny! Emmy-winning composer Glen Roven has re-worked his musical score for this performance, which will will be played live by one of Montalvo's favorite chamber groups, The Saint Michael Trio. And as an extra treat, the story will be narrated by none other than Montalvo's Executive Director (and mother of three) Angela McConnell! 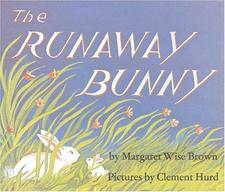 One of the best-selling children's books of all time, The Runaway Bunny is about a small bunny who wants to leave home, but whose mother declares that she will always follow. It's a heartwarming story the whole family will enjoy, and this will be the debut performance of the fresh, contemporary new score. Don't miss this unique, one-of-a-kind family experience! Purchase your tickets online today or call the Box Office at 408-961-5858 10am-4pm Monday-Friday. 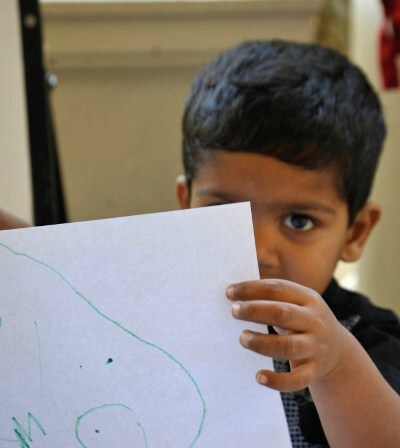 To see other family and educational events at Montalvo, click here. Niki Ford, Montalvo's 2012 Culinary Fellow, has been receiving a lot of press lately. She was recently written up in articles in both the San Jose Mercury News and in the online food journal Epicurious. If you missed either of these articles, be sure to take a look! You are invited to join Ford and fellow Chez Panisse alum Tamar Adler on Thursday, April 12, at 7pm, for Coming of Age in the Kitchen - a culinary event featuring a gourmet meal inspired by an original story written by Adler and read aloud during the event. Tickets can be purchased through the Box Office at 408-961-5858 10am-4pm Monday-Friday. Take a look at Adler giving a talk at a TEDx conference in the video below! Tamar Adler: "Who is a clever chef?" "The best saxophone quartet in the world." Join us in the historic Villa on Sunday, April 22, at 3pm, for the Amstel Quartet, winners of the 2006 Concert Artists Guild International Competition. This all-saxophone quartet hails from the Netherlands and has been touring internationally with their riveting, high-energy performances that Fanfare Magazine described as "nothing short of astounding." 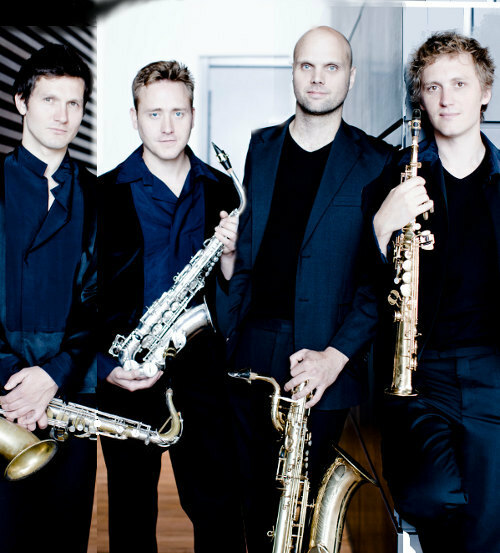 If you're a fan of the saxophone, don't miss the Amstel Quartet! And don't miss out as our Villa Chamber Music Series concludes its season on Sunday, May 6, at 3pm, with the Santa Cruz-based Coulter/Philips Ensemble. This three-piece folk group is perfect entertainment for an afternoon in the charming setting of the historic Villa. For a full list of concerts coming up at Montalvo, click here. Purchase your tickets online anytime, or call the Box Office at 408-961-5858 10am-4pm Mon-Fri.
Summer Camps already filling up! Register today. If you're looking for fun and educational activities for your kids this summer, don't wait to register them for our wonderful Summer Arts Camps, which run from June-August. Spaces are going quickly, and some sessions have already sold out! We offer a wide variety of fun and engaging arts camps, including lessons in drawing and painting, acting, musical theatre, circus arts, string instruments, pottery, puppetry, and more. Camps are taught by experienced teachers and professional artists and take place on Montalvo's beautiful grounds - the perfect way for your child to spend their summer days! Click here to see the full list of camps, or download the camp calendar (PDF) by clicking here. Visit our UltraCamp page to register today! Did you ever dream of having a Montalvo wedding? Were you married here and want to re-live your best wedding moments? Then get ready for the Wedding of the Century on Sunday, June 10, from 2-5pm! The historic Villa will be decorated beautifully as you mingle with other guests, meet new friends, enjoy cake and champagne, and renew your vows in a group ceremony. Bring your family and friends, and get your photo taken in your best wedding or garden party attire! Tickets for this unforgettable day are just $100/couple (or $50/individual) and $15 for children 6-18 (5 & under are FREE). To purchase, call the Box Office at 408-961-5858 10am-4pm Monday-Friday. For additional information about Wedding of the Century, email married@montalvoarts.org.